San Marino High School boys’ water polo team celebrated last week at its end-of-season banquet at Mijares restaurant in Pasadena. Coach Robert Zirovich reflected on the season and awards were presented to the following: Varsity — City Club MVP, Charleston Wong and Taylor Suetsugu; Coaches Award, Elijah Carlton; Most Improved, Joe Cates. Junior Varsity — MVP, Sebastian Moggio; Coaches Award, Matthew An; Most Improved, Taylor Shen; and Defensive, Victor Charle. Freshman/sophomore — MVP, Ethan Chang; Coaches Award, Johnathan Hernandez; Most Improved, Andrey Tolmachev; and Defensive, Jacob Brassard. 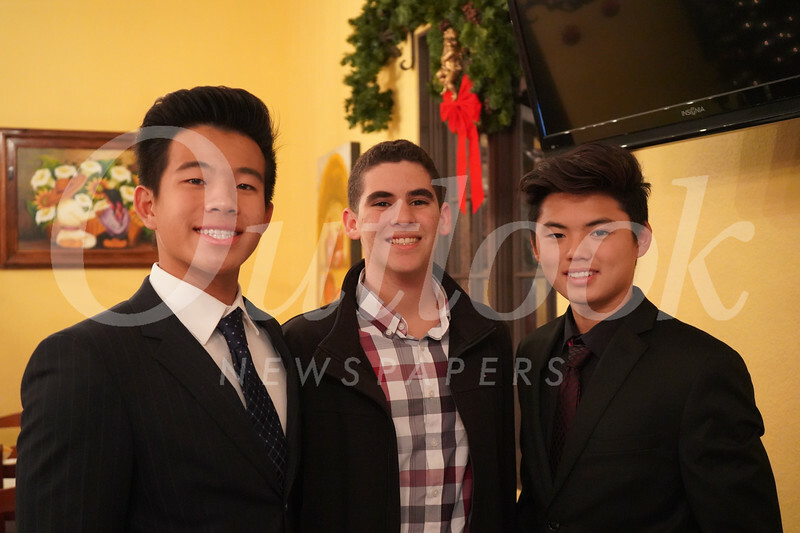 The co-presidents of the Boys’ Water Polo Booster Club are Mahjuba Mansoory and Jean Vong.